Narrated by renowned scientist Dr. Sylvia Earle, this feature-length independent documentary tells the larger natural history story of the world’s rarest sea turtle, the Kemp’s Ridley and how humans pushed a healthy population to the precipice of extinction and are now slowly helping it to recover. From the beaches of Massachusetts to Mexico, Texas and Georgia, this film highlights the collaborative work that is being done to save a species from going extinct. 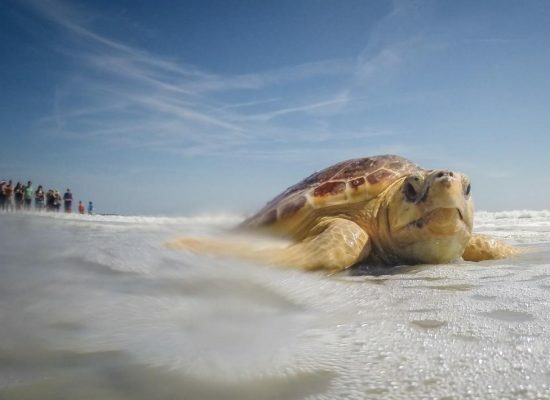 Late each autumn, hundreds of sea turtles strand on Cape Cod, Massachusetts due to hypothermia. 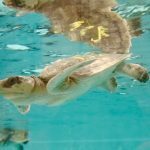 For more than 25 years, the New England Aquarium and the Mass Audubon Wellfleet Bay Wildlife Sanctuary have worked together to rescue, rehabilitate and release thousands of these sea turtles, mostly Kemp’s Ridleys, the world’s most endangered sea turtle. Sponsored by Biological Sciences, Arts and Sciences.